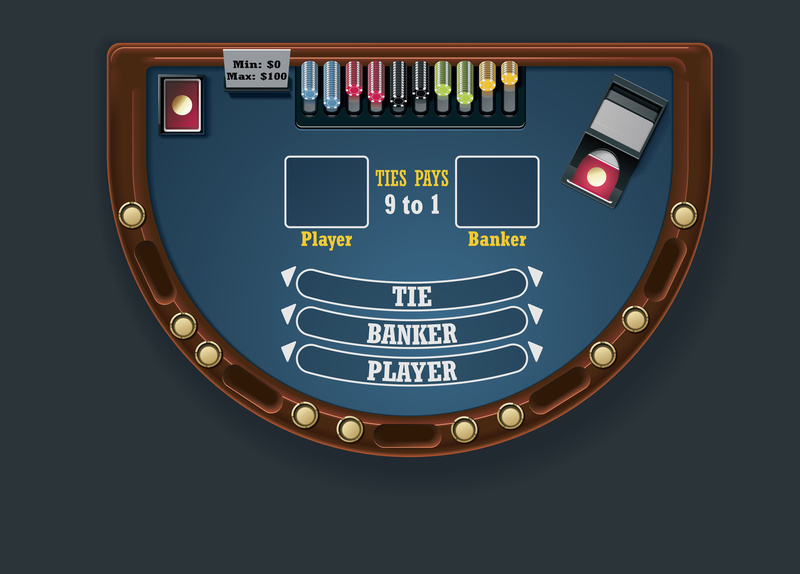 There are a number of optional side bets available at Mini Baccarat tables everywhere and like any side wager, all of them exist to increase the house edge. Nevertheless Players are attracted to them because of the hefty winning payouts. Here are some of the popular ones. The payouts are the same for a bet on the Bank when betting dragon bonus however the house edge jumps to 9.7% if you choose it. Wagering that the player or banker hand will have a king and queen on the first two cards drawn, called the Royal Match. The bet pays 75/1 for a suited king & queen, and 30/1 for an unsuited royal match. The house edge has been calculated at about 2.1%. Dragon 7 is an optional side bet found in EZ Baccarat, which is played the same as the Mini-version except the game has a commission free bank hand with one exception: A winning bank hand with a three card total of seven will push instead of paying even money. A player may wager on that outcome for which the winning payout is 40/1. The house edge is about 7.6%. The Panda 8 side bet is sometimes found in the EZ games. The wager pays 25/1 if a player hand has a three card total of eight. As for the house edge, it’s 10.2%. Books, videos, and games about Baccarat can be found on Amazon. Direct link from this page.